What happens when show-stopping home design is paired with top-rated energy efficiencies, all in an idyllic Hill Country setting only 30 minutes from downtown Austin? The perfect combination of everything needed for an escape from the everyday hustle and bustle, courtesy of Drees Custom Homes, now selling in Headwaters. 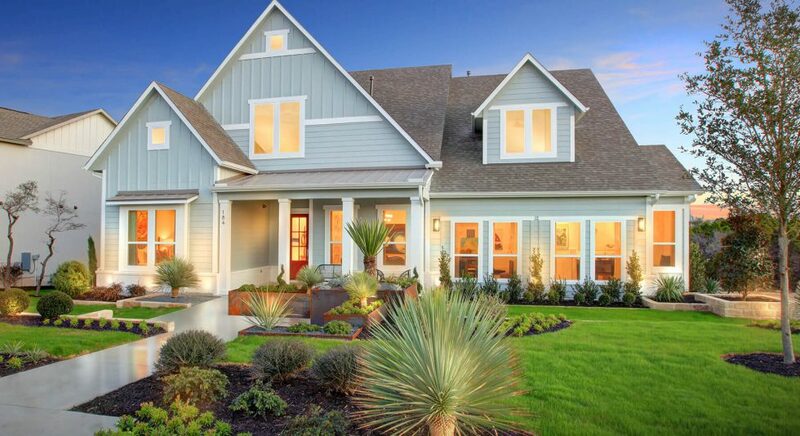 Drees Custom Homes, one of the country’s most respected homebuilders and a winner of “America’s Best Builder” from Builder magazine, is building new homes at Headwaters, a unique, new master-planned community from Freehold Communities in Dripping Springs. Located on 1,035 sprawling acres, the community features sweeping views, the historic Hazy Hills ranch house site, resort-style amenities and year-round social programming. As a featured builder, Drees Custom Homes is offering exceptional homes in a variety of sizes and styles. Energy efficiency is an integral focus, and Drees’ homes consistently score higher on the Home Energy Rating System (HERS), an industry standard that calculates efficiency and performance. Drees-built homes regularly come in 65-70 points above scores on typical existing homes, making them easier on the planet and your pocketbook. Style is also an essential component, of course, and Drees Custom Homes provides a distinctive portfolio of home designs and thousands of features to personalize your home. Family-owned and operated since 1928, Drees makes it easy to create a home that is stylish, smart and suits your needs. In Headwaters, homes will range from 2,800 to 4,200 square feet with three to five bedrooms and two to five bathrooms. Situated on 70-foot sites, homes will start in the high $400,000s. To learn more about Headwaters and all it offers, sign up to join the Founders Club. You’ll get invitations to special events, exciting e-mail updates and other news.